If you are searching for the perfect vacation spot in Europe, look no further than Iceland. With its breathtaking landscapes, pristine beaches, and unique excursions, Iceland offers a rich experience that any adventurer will treasure. Iceland is an excellent place for nature lovers who want to spend extra time hiking, caving, visiting nature reserves, and watching animals. Watching a whale emerge through the water or hearing the sound a whale makes when it expels water from its blowhole is an unforgettable experience. Iceland is considered the whale watching centre of Europe, as it offers plenty of tours and whale watching spots where you can get to know these magnificent creatures. Catch a glimpse of a humpback whale, check out the local whale museum and research centre, and create lasting memories with your whole family when you visit Húsavík, Europe’s whale watching capital. Húsavík offers tourists the greatest chance of seeing a whale on vacation, and it is must-see stop you should add to your itinerary. Iceland has beautiful, naturally formed and man made ice caves that you can tour. Many of these caves are new caves formed during the winter season, offering a unique experience for tourists. You will love taking in Langjökull Glacier, Vatnajökull Glacier, and the other glacier options that are available on one of Iceland’s many ice cave tours. Explore caves on foot or by snowmobile, and spend time appreciating the striking glaciers that host these caves. 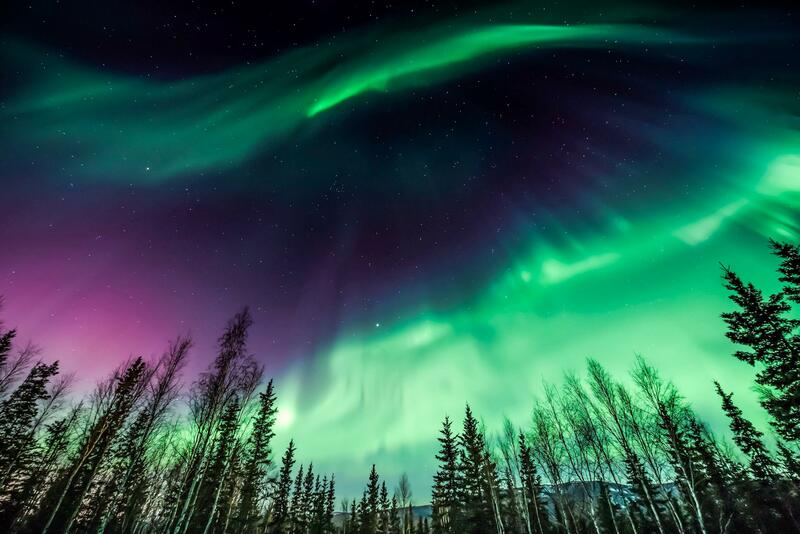 Watching the Northern Lights is an experience that you will remember for the rest of your life. Its extreme darkness at night makes Iceland one of the best places you can visit if you want to see the Northern Lights. 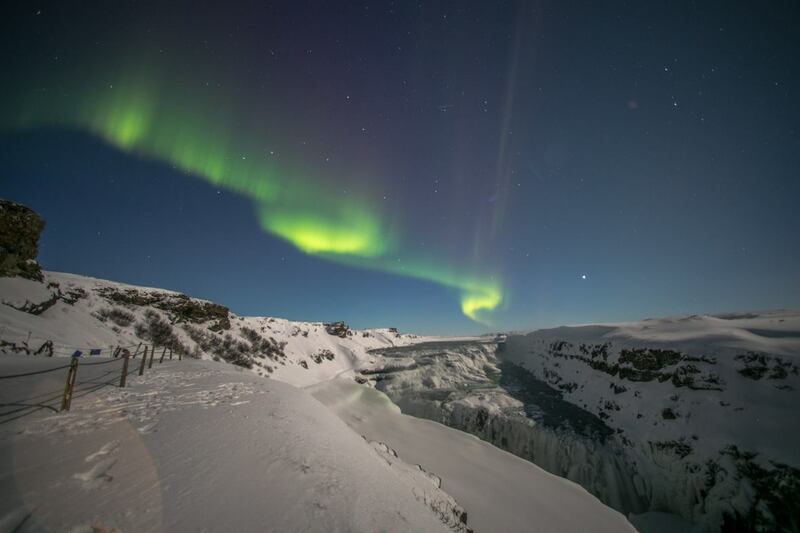 If you go to Iceland between September and March, you will have a great chance of seeing the Northern Lights at night. Try watching from well-known spots like Snaefellsnes, which has no light pollution, or from Hotel Ranga in Hella, which offers an observatory with experts to help you look for and spot the Northern Lights. Take a hiking or helicopter tour of the Thrihnukagigur volcano, a dormant volcano that last erupted 4,000 years ago. Marvel at the vivid colours as you travel the magma chamber and see first hand what it looks like on the inside of a volcano. This one-of-a-kind opportunity is available only in Iceland; it is an activity that you will not want to miss when you visit. If you’ve ever wondered what it would be like to go inside a volcano, you should put this activity on your schedule. One of Iceland’s most popular tourist routes, the Golden Circle features three free major natural attractions: the Gullfoss Waterfall, Haukadalur Valley geysers, and Thingvellir National Park. Most people can check out all the stops of the Golden Circle in one day, making it an excellent activity for you to add to your list if you visit Iceland. The Gullfoss Waterfall is an incredible, 105-feet tall waterfall that will leave you in awe. Its might and roar make it one of the most photographed waterfalls in the world. The Haukadalur Valley is home to two popular hot springs: Geysir and Strokkur. Strokkur shoots out water rather frequently, and Geysir still erupts from time to time. When Geysir erupts, it can spout boiling water up to 230 feet in the air. Nearby are two smaller geysers that help comprise this collection of hot springs. Thingvellir National Park is perfect for the nature lover who enjoys hiking, camping, or scuba diving. In addition to walking over the gorgeous landscape, you can also see two tectonic plates drifting apart from one another. Walk between two continents when you check out the Mid-Atlantic Rift in Thingvellir National Park. Before you head off to Iceland, make sure you purchase an international data SIM card. An international data SIM card will allow you to stay in contact with your friends and family back home while you are abroad without any hassle or exorbitant fees. BNESIM offers SIM cards that can help you save up to 95% on calls and data when you’re travelling overseas. BNESIM Surf Europe Unlimited is the best SIM card for Europe, providing high-speed data and coverage in 31 countries including Iceland. If you are planning a trip to Iceland, you should buy this international data SIM card. You can purchase the BNESIM Surf Europe Unlimited SIM card or browse a variety of international data SIM cards at BNESIM.